My first movie at the world’s longest continually running film festival, the Edinburgh International Film Festival, and it is one I have been eagerly anticipating, arriving with some good word of mouth. It marks the directorial debut of Sergio G Sánchez, who also wrote the story; although this is his first time as a director many film-lovers will know his name from writing the likes of the superbly creepy The Orphanage. 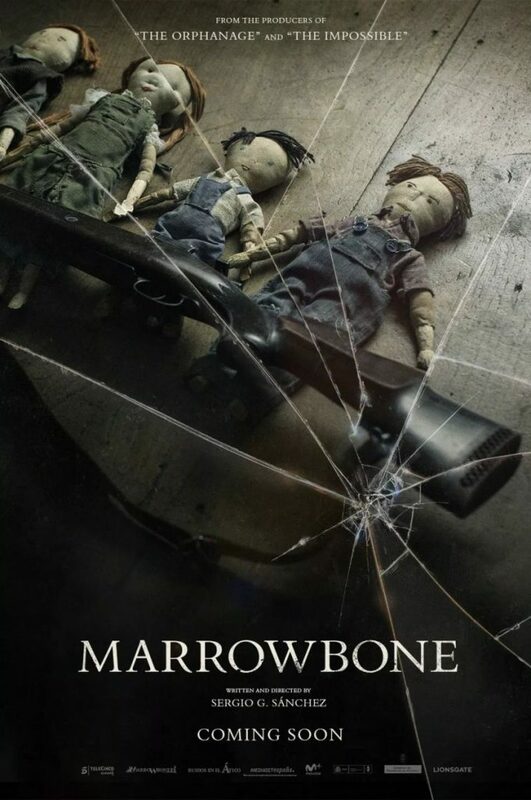 Marrowbone itself is the name of an old, semi-derelict, sprawling house in an isolated rural part of America, the family home of the mother (Nicola Harrison). She returns here after decades away, bringing her young family, fleeing some horrible catastrophe which has left a trauma on them all, some terrible event way back across the ocean in Britian. She draws a line in the dusty floor and declares to all of them that when they cross it and join her they leave their past and memories behind, and even their family name, for now they will take the surname of their home estate and be the Marrowbones, starting a new life, a free life, a new beginning. 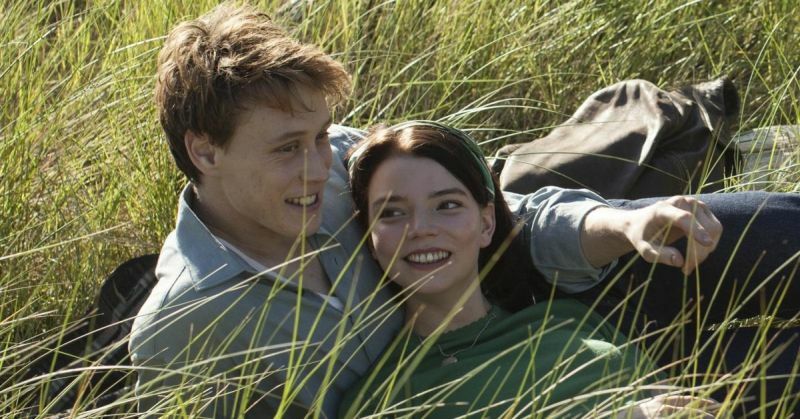 Brave words and at first it seems they are starting a new chapter, the youngsters coming out from that dark cloud, almost literally as Sánchez has them exploring the nearby countryside and beach in glorious summer sunlight, meeting Allie (the remarkable Anya Taylor-Joy from The Witch) at a skull-shaped rock where she is one of the few to get to know the withdrawn, secretive family, to become close to them. For a few scenes it seems they have turned that corner, playing with delight in the sun with their new friend, smiles, laughter. But the family has run away from a terrible past and harbours a horrible secret, and the past never really releases us, no matter how we try to move on. Their mother knows she is dying and fears what will happen – Jack, her eldest, must reach his 21st birthday to claim his inheritance and to be legal guardian to his siblings. She makes him promise to always keep the family together, even though it means concealing her death until his birthday allows him to legally take over. He vows to keep his family together, but it is not going to be easy. Their lawyer is suspicious of this family which rarely leaves their dilapidated home, keeps itself to itself, he is jealous too of Allie’s obvious attraction to Jack, and he wonders why their mother is always too ill to see him to sign important papers. He also hints ominously to Allie about the dark secret the family is running from, that their father was a monstrous figures who was eventually brought to justice back in Britain for his crimes but later escaped. 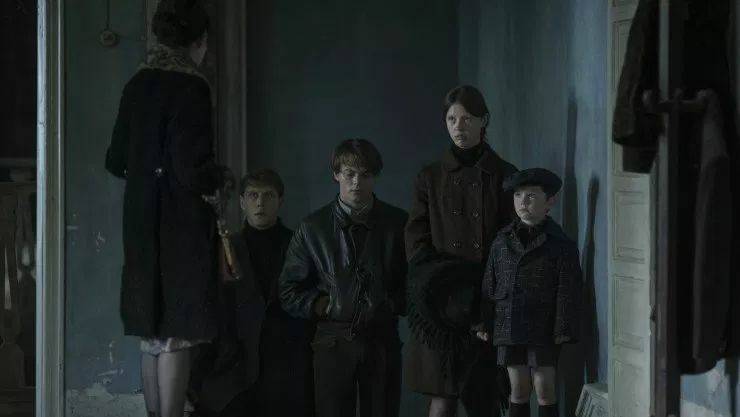 Jack tells her he was indeed a monster, hence their flight to Marrowbone, to changing their name, trying to keep a low profile, but he also adds that their father is dead. If he is dead, though, what are they hiding from? And what is the ghost that young Sam talks about hearing in the middle of the night. Why are all the mirrors in the home taken down and shoved into one room they never enter, save for a couple too large to move, instead covered up, including a huge one on the staircase, which seems to drop its dustcover by itself? What are those many noises? The soundscape here is exploited well, Sánchez mines the old, wooden country home location for maximum effect, every creaking floorboard, and sigh of wind through gaps in windows serves to immerse the viewer into the film, building layer upon tense layer, crafting an atmosphere of wrongness, a sense of something unnatural, disturbed. Sánchez avoids the cheap “jump scares” too many modern horror film-makers use to get a quick scare (I don’t count those as real scares, it’s just reflex, real scares are when they storyteller plants unsettling ideas right into your mind). Instead this film takes its time to patiently build that disturbing atmosphere, giving more hints at the secrets the family is hiding from, slowly cranking it up, trusting the viewers to invest into it until they too are permeated with that atmosphere and almost feel like they too are in that old, creaking house, slowly building to a climax, which I will not ruin here save to say it was, refreshingly, not what I expected and again show trust in the audience to interpret much themselves. Sánchez and some of his young cast were at the festival screening last night, and he commented that he never set out to be a screenwriter (I am glad that he did though! ), and that he and his regular film-making partner had been looking for something just like this to be his first directing gig, and what a wonderfully disturbing, chilling debut it is, moving from the sunny moments of friendship at the start (reminiscent of some old Enid Blyton tale of children’s adventures away from the adults) to the increasingly shadow-laden, creaking sound infested house and a feeling of the past closing like a noose around them and a secret that just cannot be contained. There is a timeless quality to the film, it feels like it could be set in 1860 as easily as the modern day for much of the running, until we see a 1960s wall calendar in one scene and 60s cars on a rare trip into the small town nearby. Sánchez praised his young cast saying how lucky he was to have them for his debut, and indeed they were superb, despite their youth. It is a lot for such young actors to carry most of a film, but they do it so well, not least the youngest, wee Matthew Stagg, who takes little Sam from wide-eyed childish joy playing with Allie or his big brother Jack showing him how to send Allie morse code signals by light at night to her nearby farmhouse, to wide-eyed fear at this “ghost” and the sounds and movements in the old house, and grief at the loss of his mother. This is a slow-burn film, trusting the audience to wait, to slowly let themselves be immersed into that ever more disturbing atmosphere, leaving you wondering how much is true, is there a supernatural element here or is it all in their traumatised imaginations? What is the secret they must contain, what causes those noises, why does the top staircase end in a bricked up doorway? This is a delicious chiller that draws you into film beautifully. It is on general release in mid July. 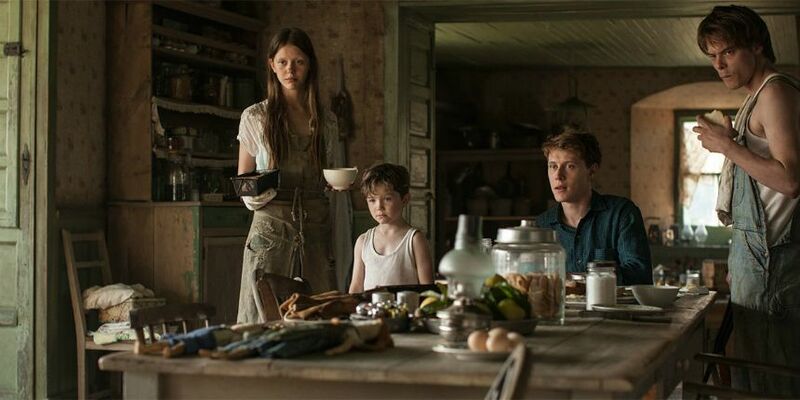 This entry was posted in film, reviews and tagged Edinburgh International Film Festival, film, film festival, horror, review, reviews, Secret of Marrowbone, Sergio G Sanchez by Joe. Bookmark the permalink.